This week is going by so quickly, and the pacing of Armchair BEA is particularly intense. I haven’t gotten a chance to respond to everyone’s comments, but I will get to them as soon as I have a chance. I’m incredibly touched by how many of you are visiting and sharing books and stories. It means a lot to me. Today’s Instagram challenge is Best of 2013. I’d have to say that “The Emperor’s Soul” wins that one, hands down. The other books in the photograph are some of the books that I’ve read recently and greatly enjoyed. Actually, despite my hiatus, this has been a good reading/blogging year for me, because I’ve loved almost everything I’ve picked up. The first discussion topic for the day is ethics. For me, the question of book blogging ethics is inexorably tied to advance review copies. I’ve seen a lot of discussions on the subject in the past few days at Armchair BEA. 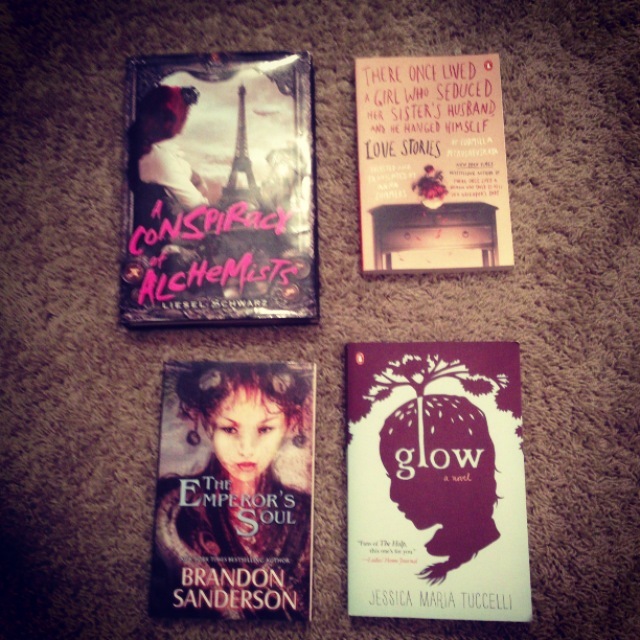 One one hand, they introduce book bloggers to new and pre-release books. On the other hand, they can lead to blogs becoming more of a marketing tool for publishers than a creative outlet for bloggers. It can be a challenge to find a middle ground. My way of reconciling the two is by not hosting giveaways/interviews/promotional posts of books that I haven’t read and reviewed first. I don’t mind sharing promotional material about books on occasion, but I want my focus to be first and foremost on reviewing. I also don’t want to be the type of blog that only reviews ARCs–I want to discover old and forgotten gems and share them with people who would love them as much as I do. What are your opinions on ARCs? What challenges do they present for bloggers? Today’s genre discussion is nonfiction. During the past few years, I’ve rarely read nonfiction, but there was a time in my life when I read a lot of philosophy. Nietzsche, Locke, John Stewart Mill, Rousseau, Marx, Aquinas–you name it. I was in Lincoln-Douglass style debate in high school, which exposed me to political philosophy, and it started me on a several year reading tangent. 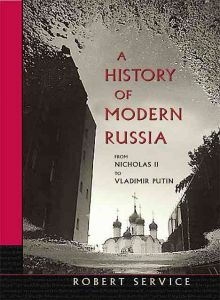 Pair that with my fascination with Russia, and I ended up reading a lot of primary sources from the time leading up to and following the 1917 revolution so that I could get some idea of the intellectual climate of the time period. Eventually the pressures of school and work caught up with me. My Russian history/philosophy research started to make my brain hurt, even though it was extremely fascinating. Looking for something a bit more escapist, I re-entered the world of fiction. It’s getting close to finals time, and one of my projects this semester involved a Library Journal style book review on a book about libraries. 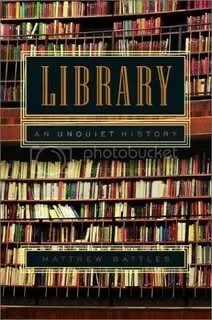 I chose Matthew Battles’ “Library: An Unquiet History.” Personally, I find the style of Library Journal reviews to be unnecessarily constraining, so I thought I’d take a moment here to ramble a bit about the book. Battles, an eccentric Harvard Librarian, describes the history and evolution of libraries from the ancient world to the present. While the book mentions the obvious stuff like the Library of Alexandria, I also learned a lot from it that I hadn’t read before in other places. I didn’t know about book burnings of Aztec volumes; in fact, I hadn’t even realized that the Aztecs had so many written texts. 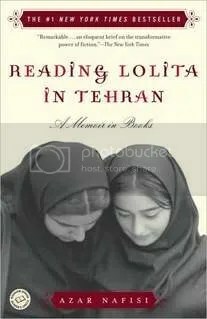 The author also mentioned a library found in a Jewish ghetto during the Holocaust, which shows the resilience of libraries even under some of the most hostile conditions. While I found the information to be fascinating, I thought that Battles writing was unnecessarily verbose and disorganized. He jumps around a lot in both time and space, and a few times I found myself caught off guard thinking “Hey wait, weren’t you just talking about something going on an a different continent?” There was also a tangent on Jonathan Swift that lasted a bit too long for my taste (not that Jonathan Swift isn’t awesome–he is–but it felt excessive). It’s not that the book isn’t good, but I’m the sort of person who prefers a clear form of organization that doesn’t jump around so much. Battles very clearly cares about his subject matter, but this book didn’t really do it for me. At the same time, I can see why some people would enjoy it. 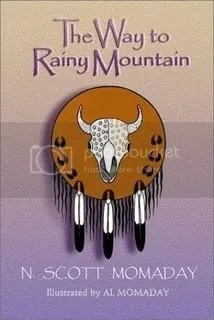 One of Battles’ strengths is that he brings up a lot of interesting anecdotes and historical details that get glossed over or aren’t mentioned in other similar books, and those anecdotes do give readers a sense of perspective. His use of intellectual history to illustrate the changing purpose of the library shows how the very concept of a library has changed over time. The history of libraries is something that interests me, and I wish it were more widely known. I often hear that e-books are killing libraries, but at the same time, books like this one show the way that people have thought that libraries were dying for hundreds upon hundreds of years now. Instead of doing so, they evolved to confront the challenges of their eras.